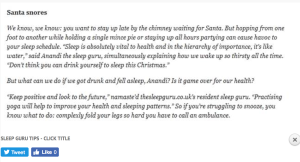 But what can we do if we got drunk and fell asleep, Anandi? Is it game over for our health? “Keep positive and look to the future,” namaste’d thesleepguru.co.uk’s resident sleep guru. 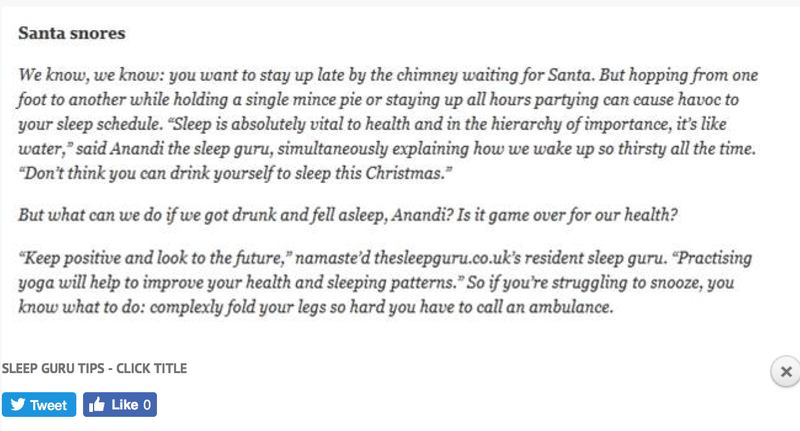 “Practising yoga will help to improve your health and sleeping patterns.” So if you’re struggling to snooze, you know what to do: complexly fold your legs so hard you have to call an ambulance.